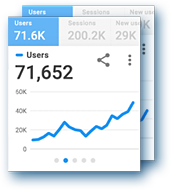 You want quick answers to your questions, but you don’t have time to study Google Analytics and other analytics tools. So every time you need an answer, you have to ask the analysts and wait. You could ignore the data, but what would that do to the quality of your decisions? Smart Data algorithm automatically creates a data model describing objects, their properties and interconnections. 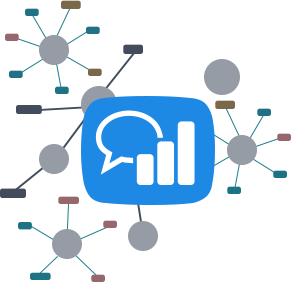 Thanks to this, you get answers to thousands of questions about your buyers, goods, purchases and ad campaigns. 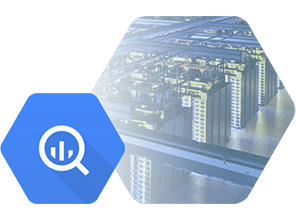 Smart Data can process any amount of data and you’ll get answers to your questions in a matter of seconds, since Google BigQuery is used for data processing. OWOX BI Pipeline and easily accessible SDKs serve to bring together all the necessary data from Google Analytics, advertising platforms and other services in Google BigQuery. OWOX BI processes the data in your Google BigQuery project, so the data is stored and processed according to the PCI DSS, ISO 27001 and SOC 2,3 safety standards. Thanks to using Google account and two-factor authentication, you have complete control over the data.